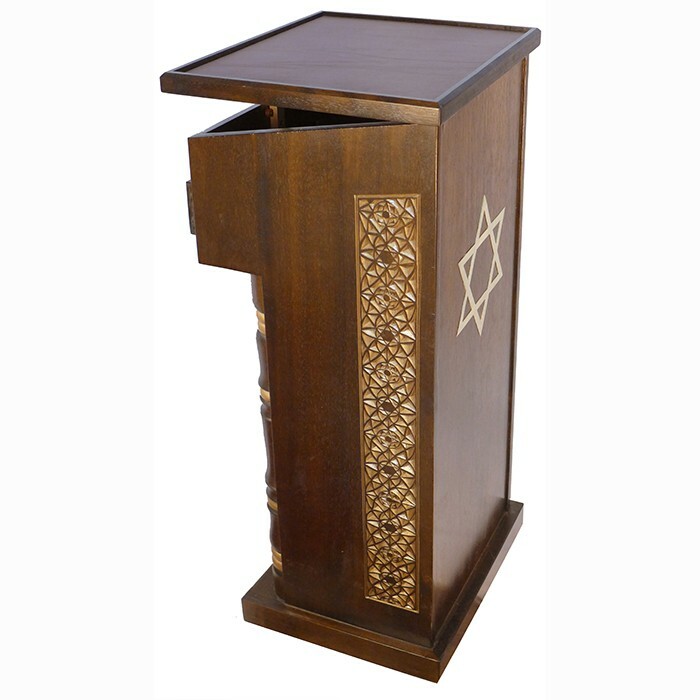 This prayer stand was carefully designed and crafted at Bass Synagogue Furniture studios. 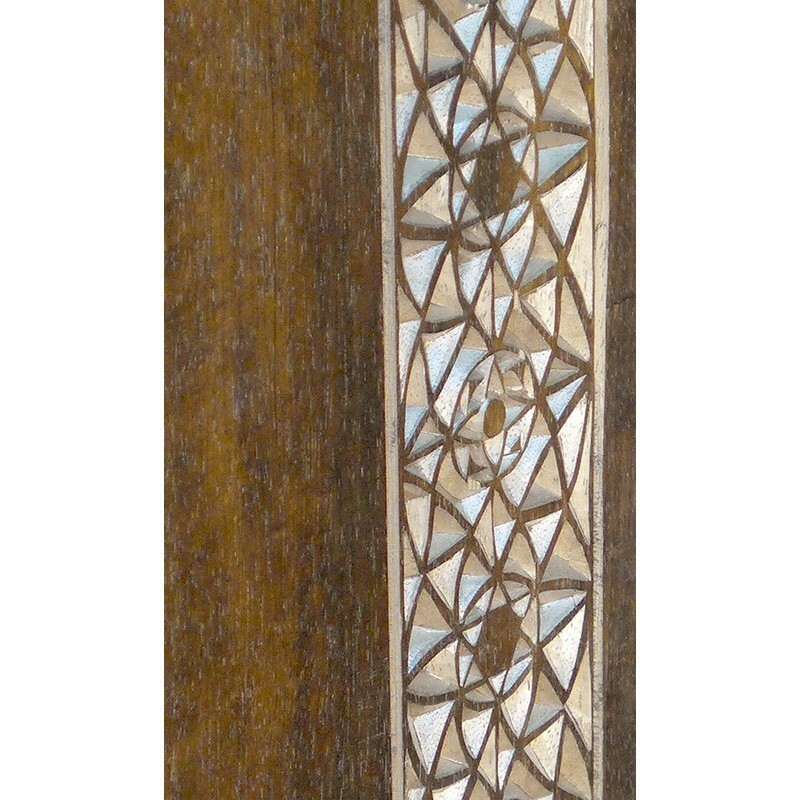 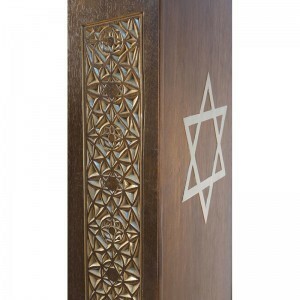 Artist Gabriel Bass hand carves the sides and fills the carving with gold in a classic oriental pattern originating with the six pointed star of David. 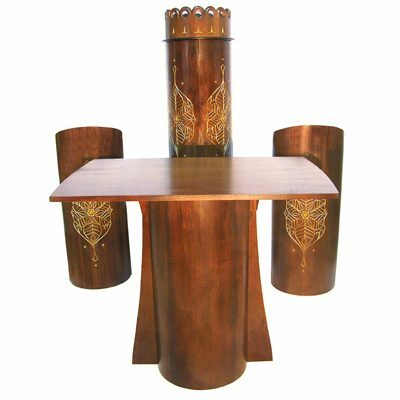 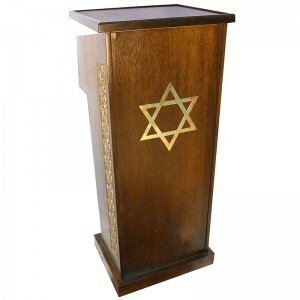 The podium is built from solid african walnut and can be finished in any color stain to match your synagogue. 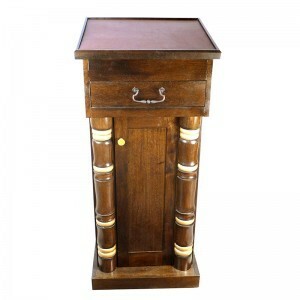 The drawer pulls out in the front and the top can open for further storage. 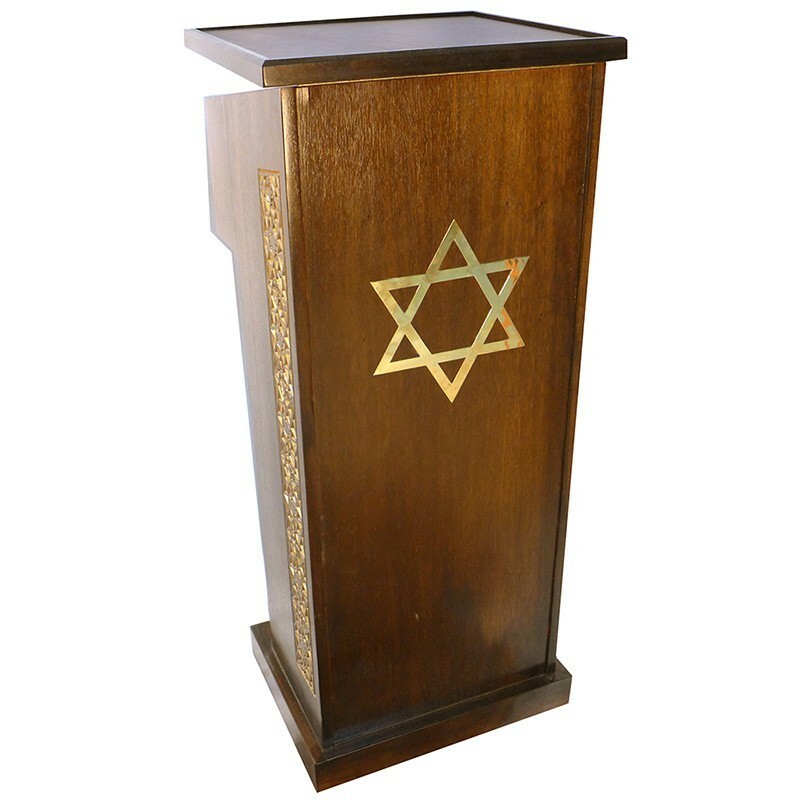 This reading stand, known as an amud or podium, was first commissioned for the Syrian Lebanese Synagogue of Brooklyn, NY, USA. 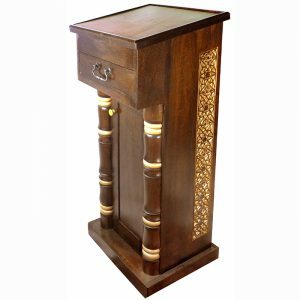 This reading stand features hand carving, lathed columns, hand painted gold glaze, and bronze work. 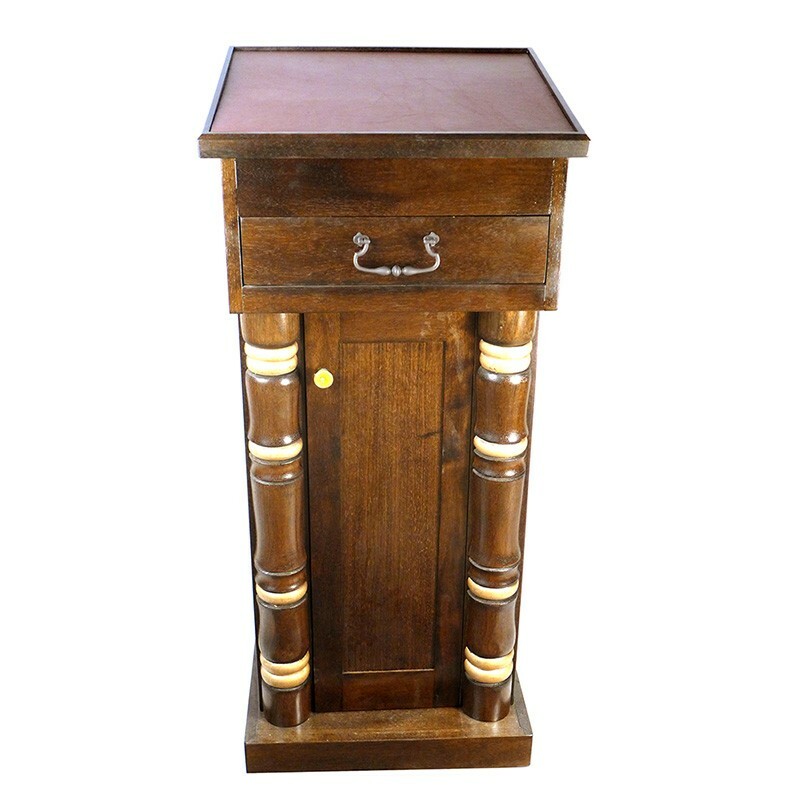 The doors open for further storage on the inside, as well as the top box. 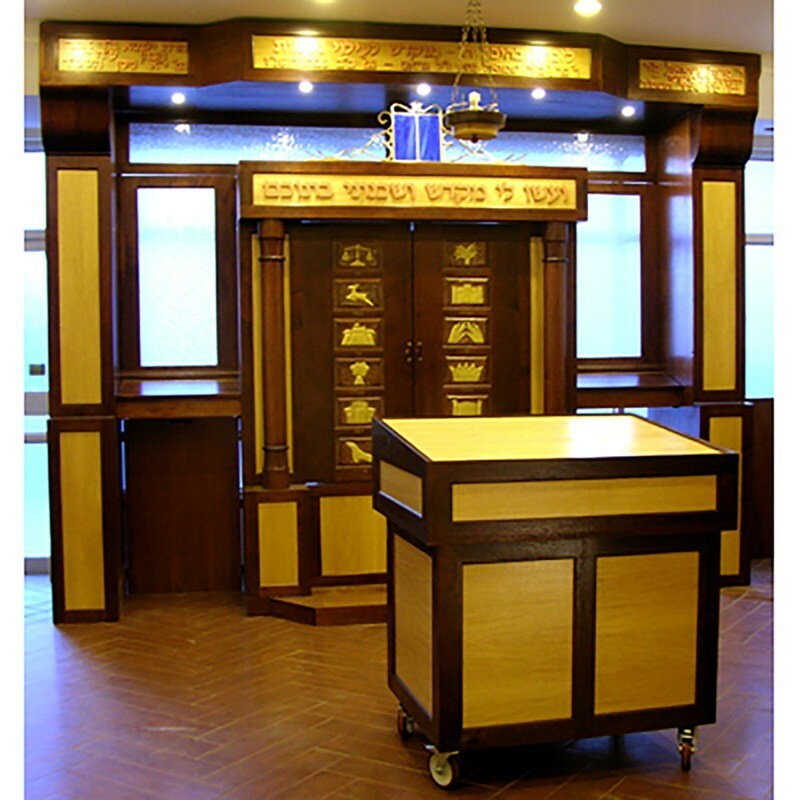 The podium was designed specifically for the needs of the commissioning synagogue. 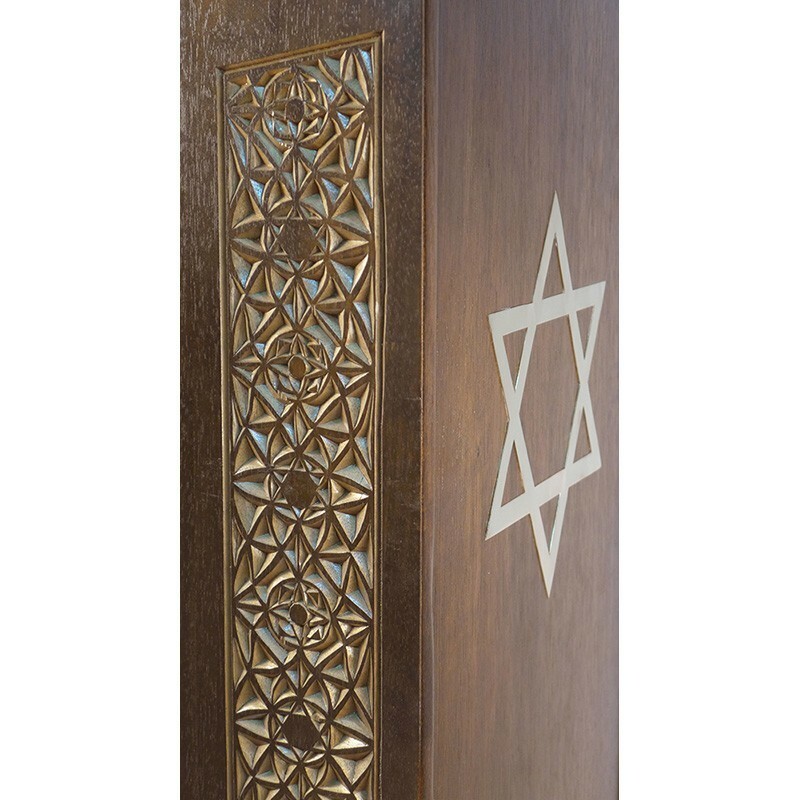 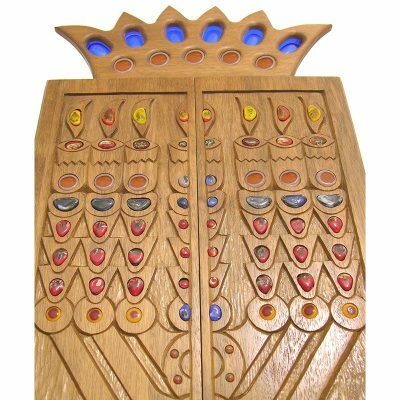 Contact us today to find out how you can have this prayer stand built for your synagogue or create a custom design to best suit your needs and style. 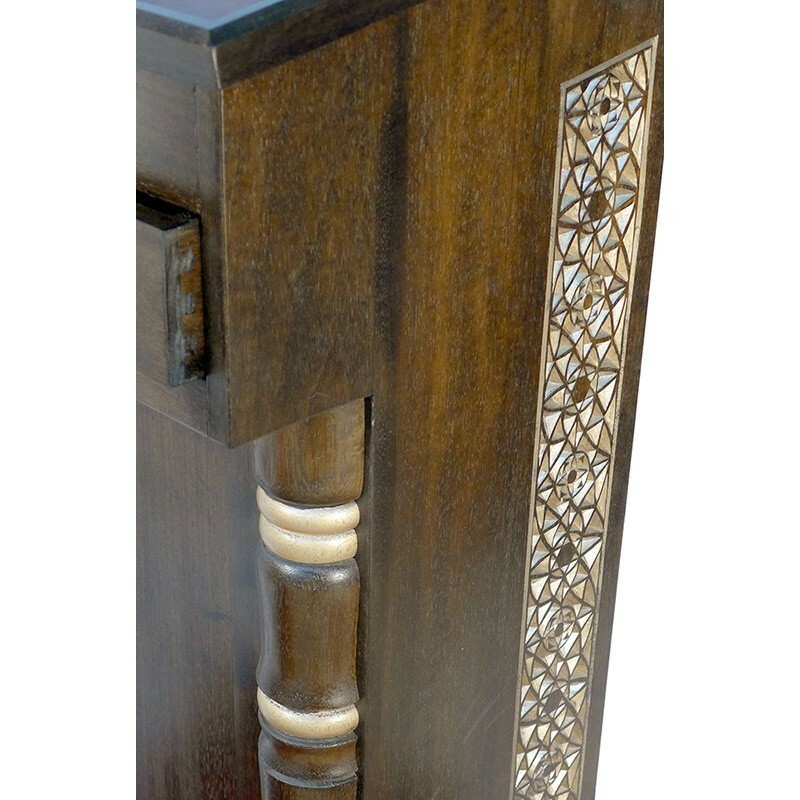 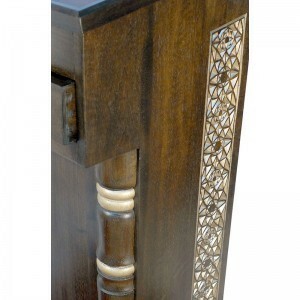 The price denotes starting price for this or similar custom design without carving on the sides. 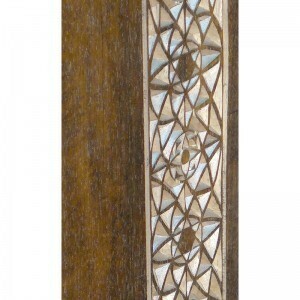 Final price may vary depending upon the details.